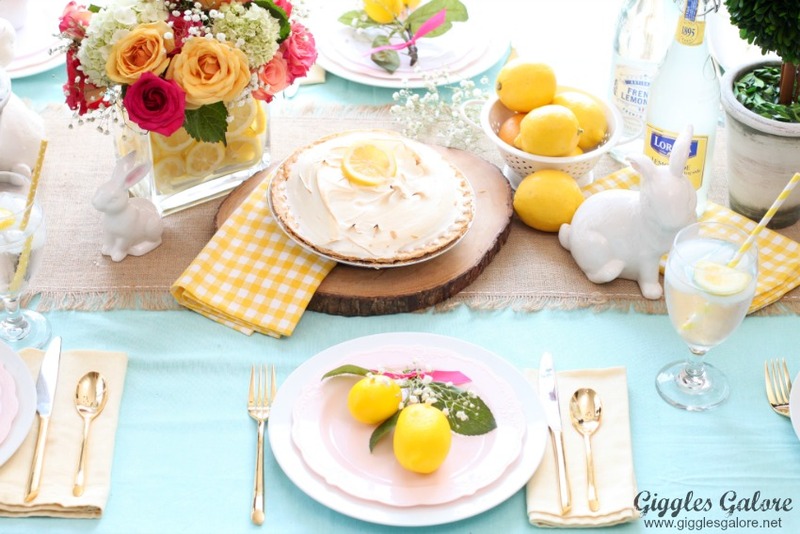 Lately I have been obsessed with lemons and using them to make yummy desserts, and now pretty centerpieces. 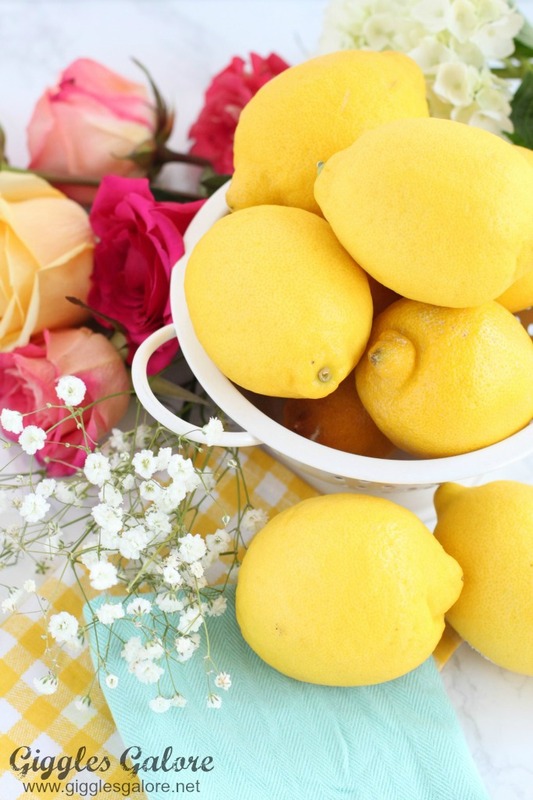 Lemons are so bright and fresh and I think they are perfect for spring entertaining. 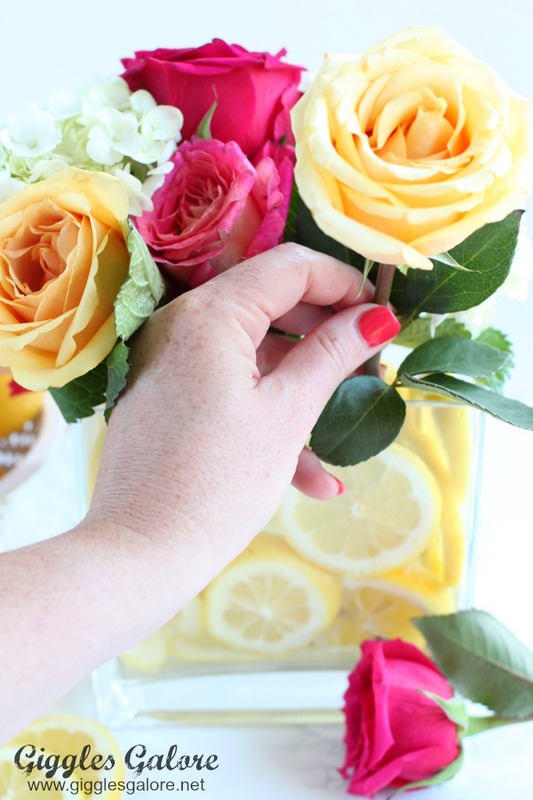 In fact I just created this easy and colorful spring Lemon Flower Arrangement for our Easter celebration this weekend and couldn’t wait to share this simple tutorial with you. I have always loved the idea of using lemons in floral arrangements. In fact almost 15 years ago I used them in our centerpieces for our wedding reception and absolutely loved the idea then. When I was planning my wedding I needed an inexpensive idea to decorate all of the tables, but I had my heart set on fresh flowers. My mom and I ended up making all of the centerpieces by arranging lemons in big vases and then filling a smaller vase inside that one with fresh flowers we bought wholesale through my florist. I need to dig out a picture, they turned out beautiful and I loved the impact they had on each table. 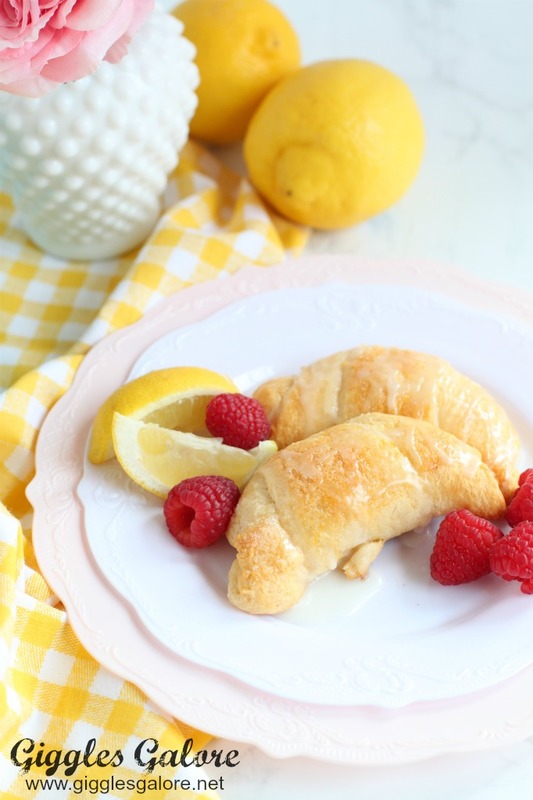 Anyway, the other day I bought a bunch of lemons to make my tasty Lemon Cheesecake Crescent Rolls and decided to use the leftover lemons to make a pretty centerpiece for our table. This is super simple and you can definitely whip this up before family arrives this weekend to celebrate Easter. 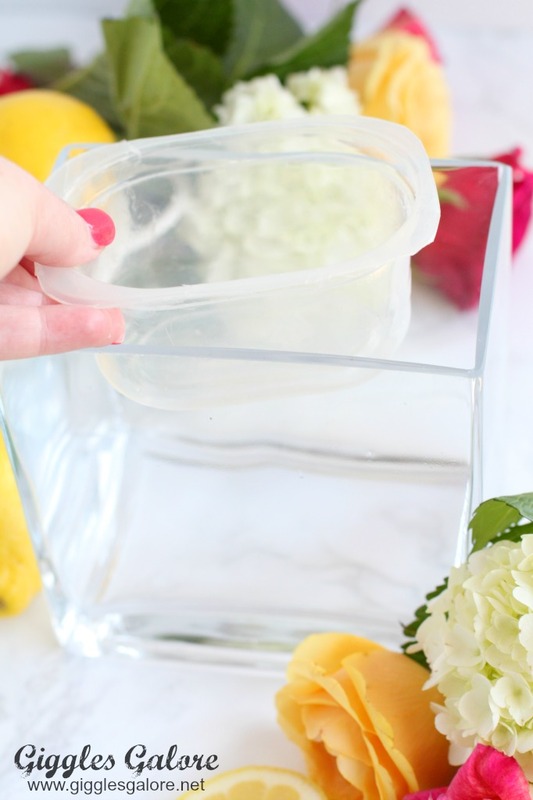 Start by placing the smaller container, this will be used to hold the water for the flowers, inside the larger container. 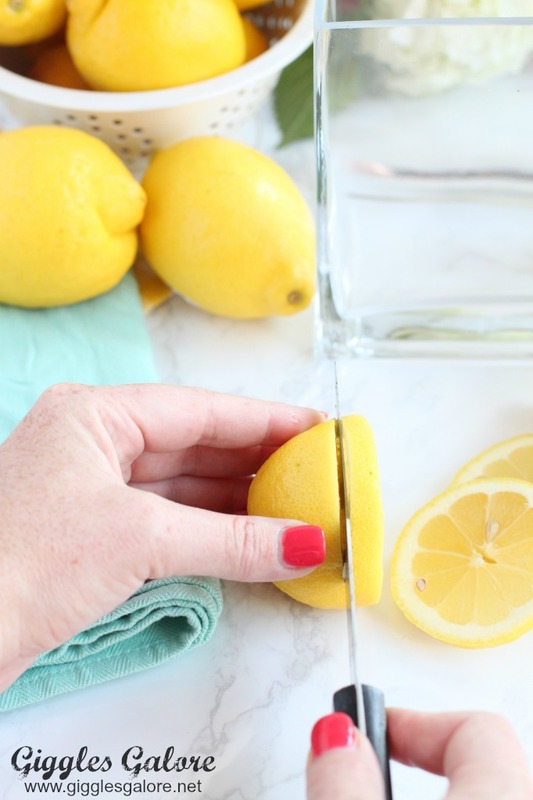 Slice the lemons into thin slices, I used around 4 lemons for my vase. 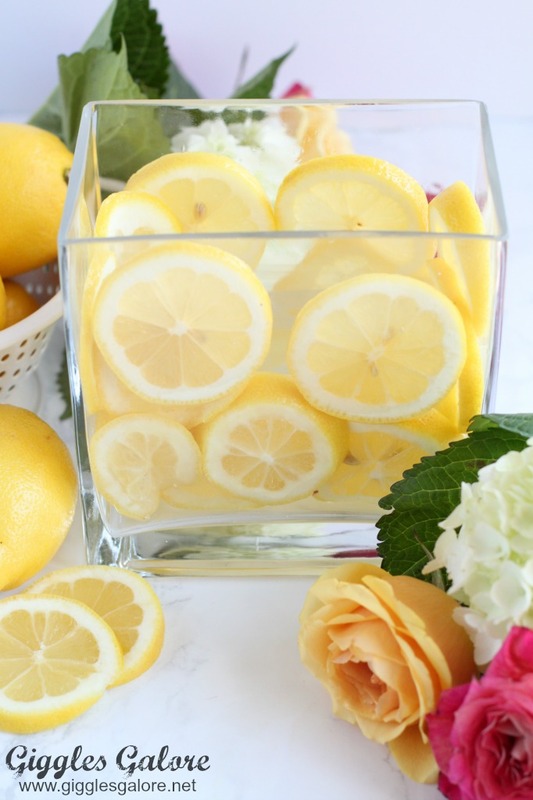 Once you have cut all of the lemons start placing the lemon slices in the vase. You will need to position the slices between the glass and the smaller container. I found that it was easier to keep the lemons from falling all over the place with my smaller container already inside my larger vase. 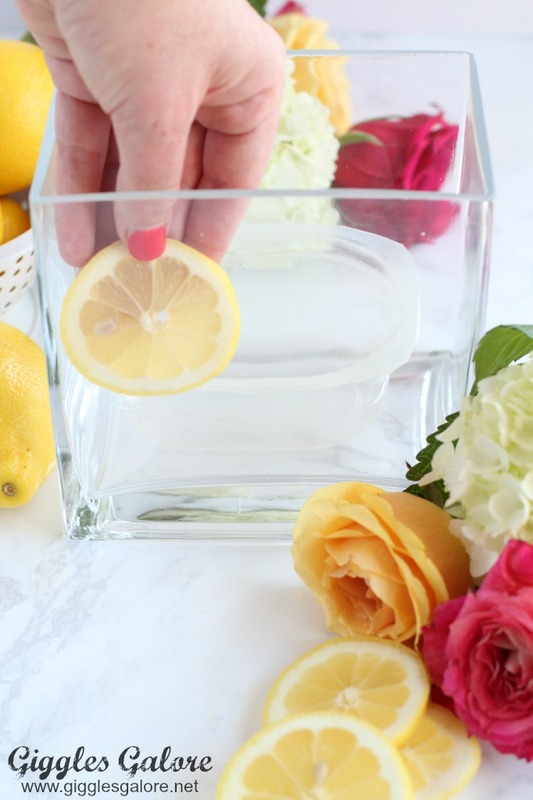 You will just need to play around with it to make sure the lemons fill up your vase and cover the smaller container up. 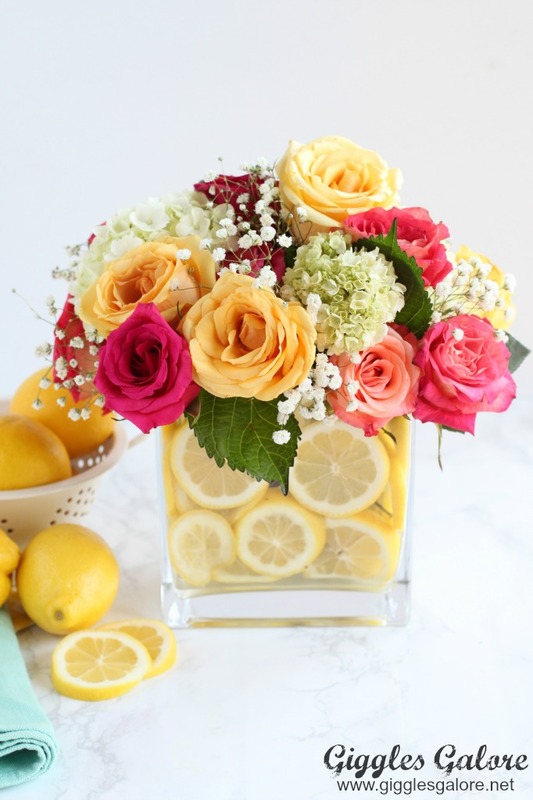 Once the lemon slices are in place, fill the smaller container with water and start arranging your flowers. That’s it. Now you have a beautiful spring centerpiece that will brighten up on table setting. I love the simplicity of this project and how pretty it looks sitting on my table. 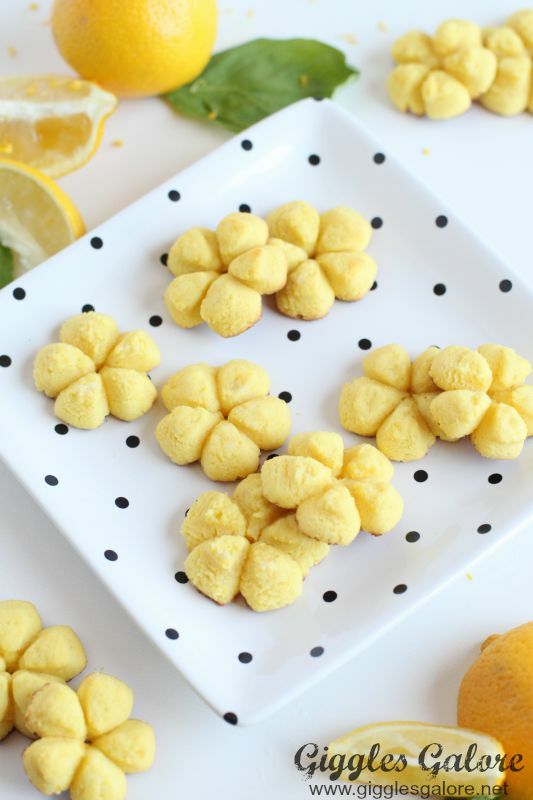 Keep in mind that you don’t want to make this too far in advance of your celebration because the lemons will start to get mushy and yucky. 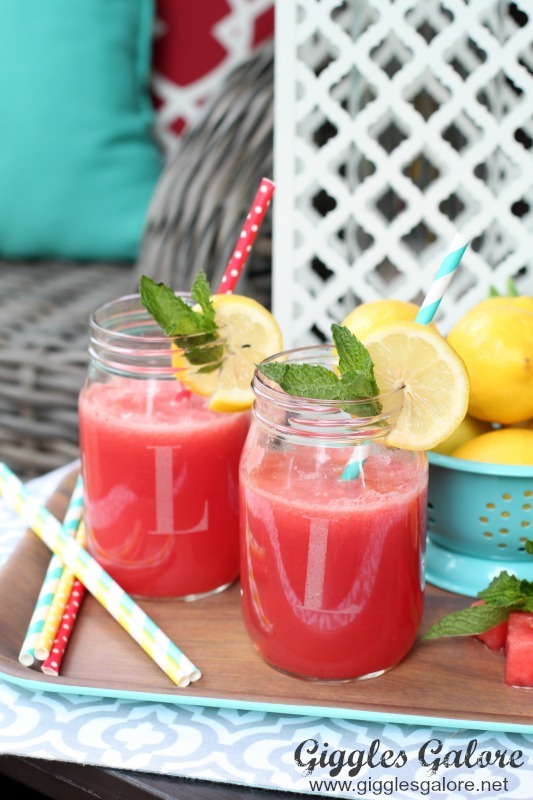 I would suggest making it 1-2 days prior to your party and it should last for another 2-3 days after that. 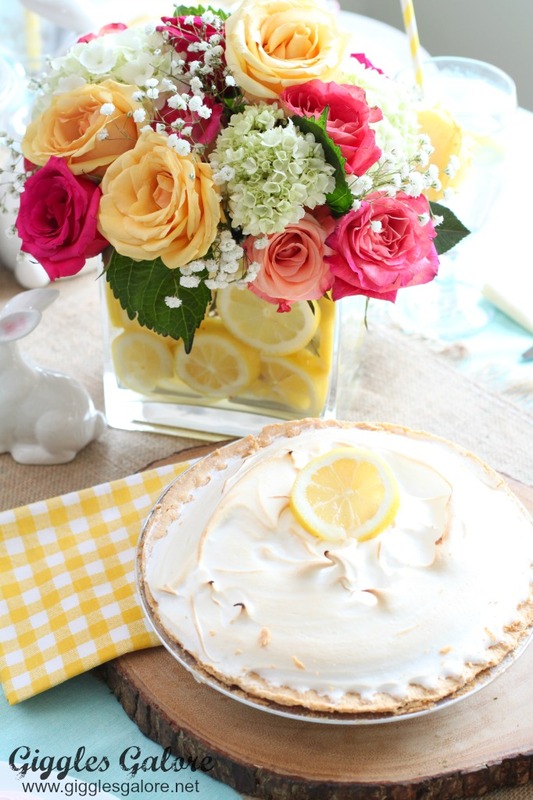 My lemon obsession continues with this colorful spring lemon flower arrangement and of course, a slice of lemon meringue pie! I love your arrangement! Thanks for sharing at the Inspiration Spotlight party. Pinned & sharing. 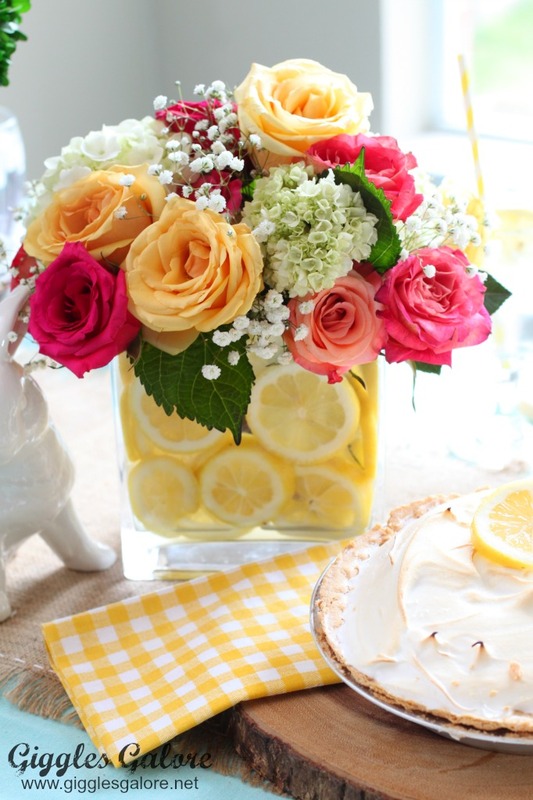 This is the perfect flower arrangement for a Mother’s Day luncheon table centerpiece. So fresh and pretty. Thanks for instructions. 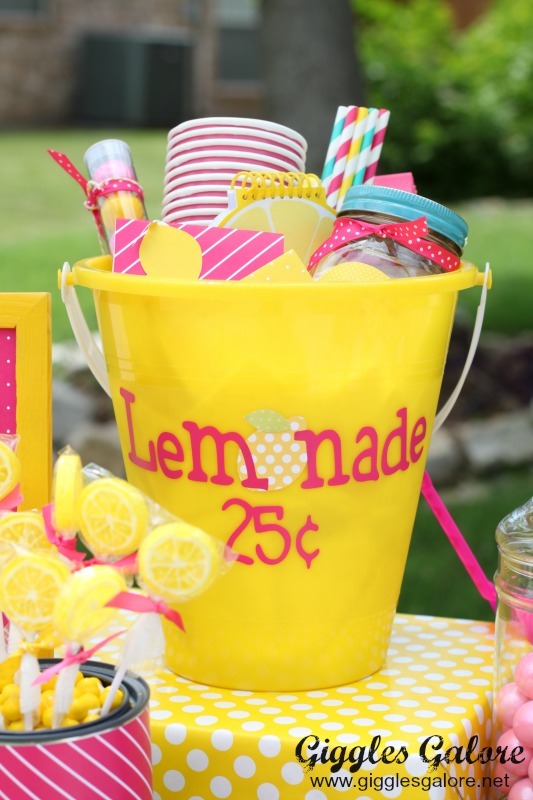 It would be great for Mother’s Day or a colorful summer soiree. 🙂 Thanks for stopping by!